Back in 1989 on a college campus in upstate New York, jam band moe. was born. They gained popularity steadily throughout the ‘90s alongside groups like Widespread Panic and Phish and have been touring and putting out albums ever since. Their latest album, No Guts, No Glory, was released in 2014. Guitarists Al Schnier and Chuck Garvey stopped by the Reverb studio with their pedalboards in tow to chat with us about the staples of their board, how they achieve their varied sounds, and how it’s easier for them to communicate the size of their gear stash in pounds rather than number of units. While their boards may look pretty extensive by most of our standards, Al and Chuck explained that these iterations are rather scaled back from what they used to use on a regular basis. Over the years, they have grown to appreciate a smaller, more manageable setup. Al quipped that his performance became more like tap dancing and less about actually playing the guitar when he was packing a plethora of choices on his board. 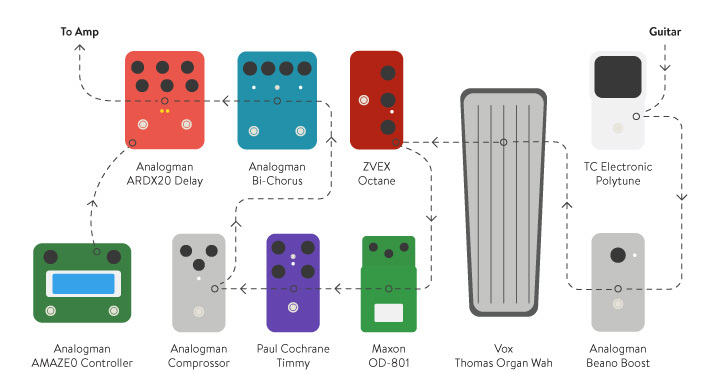 And Chuck added that with so many pedals, you eventually lose the security of being able to recreate your exact tone for each song night after night. Al and Chuck demonstrate that while pedals are fun and important, more doesn’t always mean better – it’s important to find that sweet spot so that your playing doesn’t suffer. 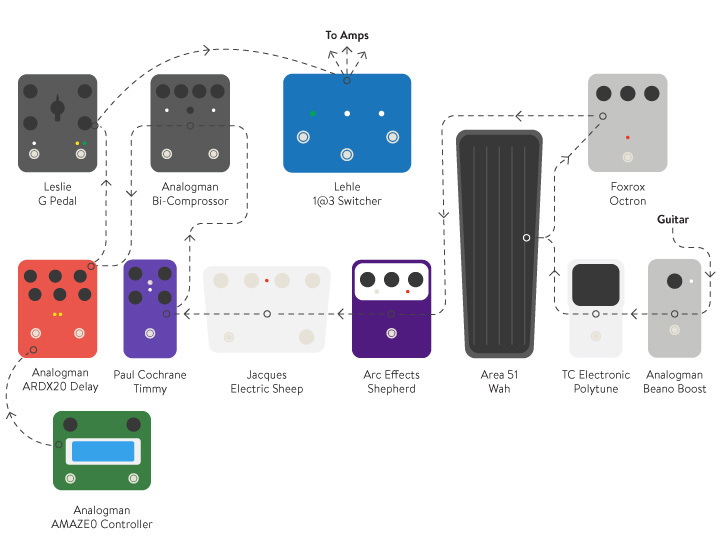 Click through the pedal diagrams below to check out more about what they were using in the video above. Check out moe.’s website to find tickets to one of their upcoming shows. 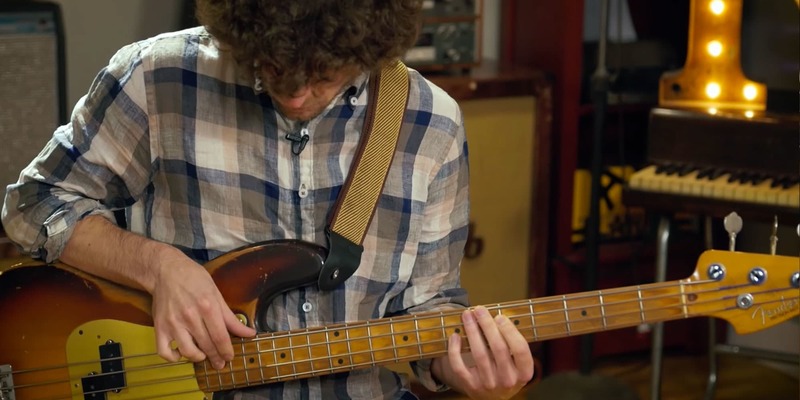 Watch the video to hear Michael League of Snarky Puppy demo some more nifty bass pedal tricks and to learn more about his musical philosophies and favorite bass players.